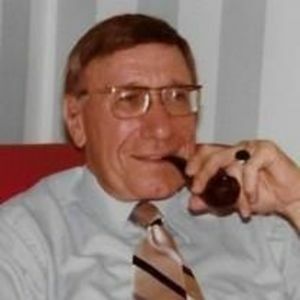 HERBERT COLKER, husband of the late Betty Galpin Colker and father of Larry, Steven, David, and Deborah Colker, passed away on Monday, July 4, 2016, at his home. He was 95. Born in Cincinnati, Ohio, on October 3, 1920, Mr. Colker moved to Huntington in 1946, after serving in the Army during World War II, in order to join his brother, Joseph, in business at West Virginia Electric Supply Company. Herb was an avid tennis player and golfer who looked for ways to contribute to the Huntington community. Whether it was Rotary, the Salvation Army, St. Mary's Hospitality House, the Boy Scouts, or B'nai Shalom Temple, Herb was often in the thick of things, trying to lend a hand and make things better. He and Betty, who enjoyed going to the opera together all their lives, celebrated their 73rd anniversary last August. Herb was a kind-hearted, optimistic man who never met a stranger, and he will be missed. Funeral services will be held at B'nai Shalom Temple (10th Ave. and 10th St.) on Sunday, July 10, at 1 p.m., to be followed by a graveside service and then a reception back at the Temple. All who knew and loved Herb and Betty are welcome. The family is requesting that all donations be made to the Huntington Salvation Army.